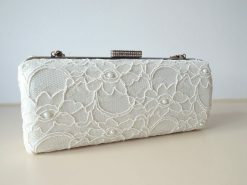 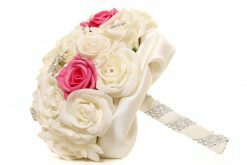 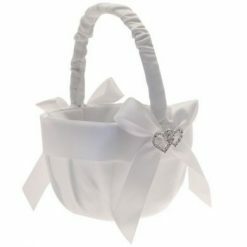 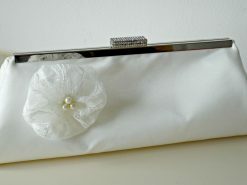 Sophie Satin Bridal Clutch Bag. Elegant and chic in its simplicity, our Sophie Satin clutch is handmade using gorgeous light ivory satin fabric. 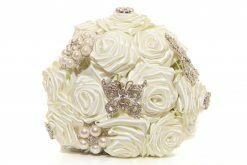 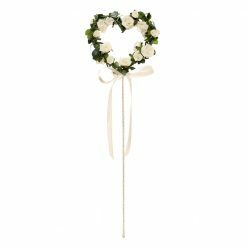 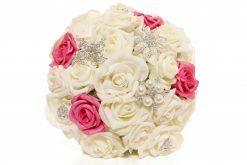 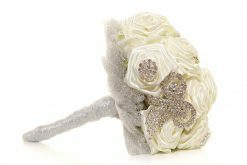 Embellished with a simple lace flower brooch with pearl or rhinestone centre detail. 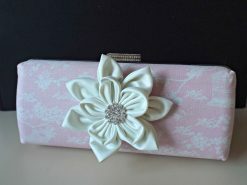 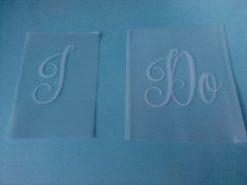 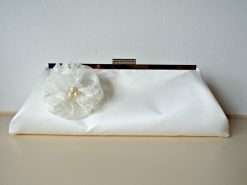 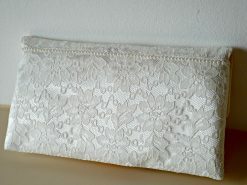 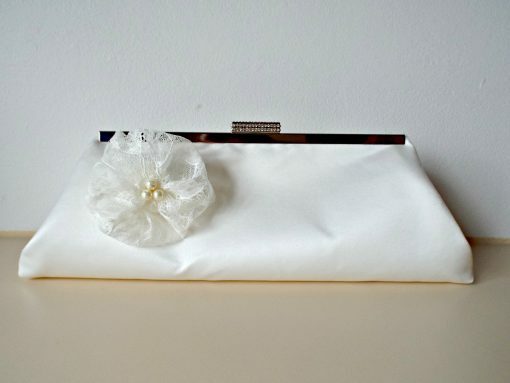 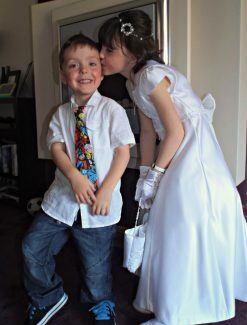 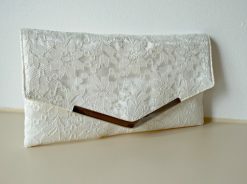 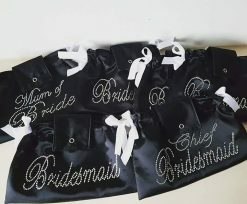 All our bridal clutch bags are handmade to a superior standard, complete with satin interior. 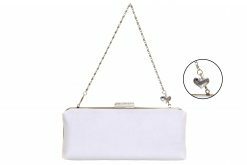 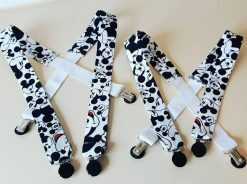 We add a little “Something Blue” charm so if you are superstitious we have you covered!